One of the last books I finished was The Kidnapping of Christina of Lattimore by Joan Lowery Nixon. She spots the masked man in the dark, lonely parking lot--but too late. Grabbed and drugged, Christina is kidnapped and held for ransom. When her family pays, she thinks her ordeal is over. But then she realizes that her family thinks she planned the kidnapping! How will Christina prove her innocence? I am so behind on my posts! Books and books behind, but as my friend Meghan said, “The reading is more important.” Truth. But here I go trying to catch up. The only reason I bought this book was because I found it for super cheap, like $2.00, and it had an award on the cover. Nixon won an Edgar Award, which recognizes the best mystery novels of the year, in the young adult category in 1980. I unfortunately did not find this book to be of award winning caliber and I’m glad that I only spent a couple of bucks on it. My primary issues with the novel were its’ predictability and unrealistic story line. For instance, you know from the description that our main character, Christina, escapes from her kidnappers, which would be fine, if her escape from the kidnappers didn’t take up nearly half of the book. Seriously, the whole time I was reading I didn’t give a crap about how her kidnappers treated her because I already knew she was going to get away. And onto problem number two, the way Christina acted in trying to prove her innocence was sooooo improbable! No one who has been held captive for days in a basement is going to head back to the scene of the crime for stake outs and confrontations with her kidnappers. I mean, cheese and rice, come on! 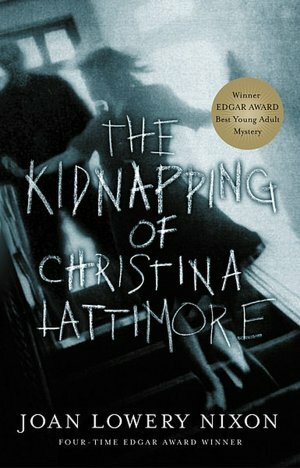 Had this book attempted to deceive its’ readers into believing that maybe Christina herself was involved in the kidnapping it could have given the book some depth, but no dice. Bottom line: skip it. And onto the next . . . I recently finished The Brief History of the Dead by Kevin Brockmeier. P.S. I have decided to try out a rating system so y'all aren't forced to decipher my gushes and gripes.